Dreams become reality in this world of butterfly brilliance. Overcoming conflicts and struggles, Bani, formerly Cody the Caterpillar, discovers his destiny- leading a group of his fellow winged warriors to the promise land. Befriended by The Great One, Bani and friends traverse desert terrain under eagle wing shadows until they reach Flat Rock, an oasis paradise. Here, they are trained and equipped by the eagle for future exploits. Interspersed with humor and biblical imagery, this story is bound to appeal to the young and the young at heart. 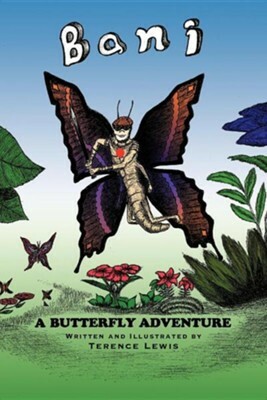 I'm the author/artist and I want to review Bani a Butterfly Adventure.